Would you like your welcome package to include a free destination pack from one of North England's leaders in the tourism industry? Each pack contains information and discounts on a number of attractions within in a geographic region :- Lancashire & the Yorkshire Dales, Cumbria, Northumberland and Cheshire & Merseyside. Your guests can use the packs immediately, or take them away to plan a return visit to your cottage. 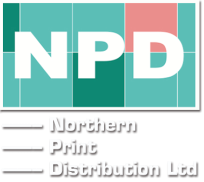 NPD can supply you with your chosen number of packs free of charge. ​Please fill out the request form below and we'll take care of the rest.